Heidi Kim, author of “Taken from the Paradise Isle” (University Press of Colorado), will speak on Saturday, Jan. 9, at 2 p.m. at the Japanese American National Museum, 100 N. Central Ave. in Little Tokyo. Crafted from George Hoshida’s diary and memoir, as well as letters faithfully exchanged with his wife Tamae, “Taken from the Paradise Isle” is an intimate account of the anger, resignation, philosophy, optimism, and love with which the Hoshida family endured their separation and incarceration during World War II. 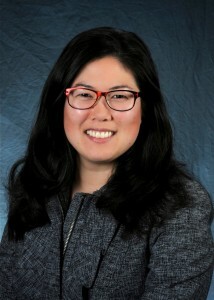 Heidi Kim of the University of North Carolina at Chapel Hill. George and Tamae Hoshida and their children lived in Hawaii. In 1942, George was arrested as a “potentially dangerous alien” and interned in a series of camps over the next two years. Meanwhile, forced to leave her handicapped eldest daughter behind in a nursing home in Hawaii, Tamae and three daughters, including a newborn, were incarcerated at the Jerome Relocation Center in Arkansas. George and Tamae regularly exchanged letters during this time, and George maintained a diary including personal thoughts, watercolors, and sketches. 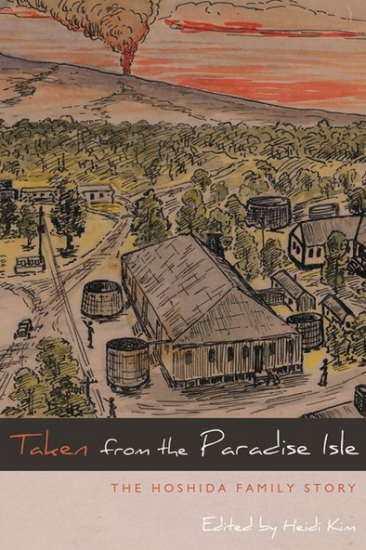 In “Taken from the Paradise Isle,” these sources are bolstered by extensive archival documents and editor Kim’s historical contextualization, providing a new and important perspective on the tragedy of the incarceration as it affected Japanese American families in Hawaii. Kim is assistant professor of English and comparative literature at the University of North Carolina at Chapel Hill. She has published essays on the food policies of the Japanese American incarceration camps and the legacy of Korematsu v. United States, and regularly teaches courses devoted to the history and literature of Japanese American incarceration.